Carbohydrates have been getting a lot of bad press in recent times. Everyone seems to be trying to avoid them, especially with the popularity rise of extremely low-carb and keto diets. But are these components truly as bad as they seem? Just like any other nutrient, carbs are not inherently bad. In fact, healthy carbs are crucial to the body’s health. It’s all about smart, moderate eating and knowing how much you need and what to leave out of your diet. Still not entirely convinced about the merits of carbs? Carbs are the main source of energy for the human body. The misconception comes from the fact that most people know that carbs are broken down into glucose, known otherwise as sugar, in the body, says Real Nutrition NYC founder Amy Shapiro. Some people then make the mistake of believing that elevated blood glucose levels are inherently bad. But moderately raised levels give us energy boosts, and sugar isn’t just flowing through the blood – it collects in the liver and muscles to provide the body with extra energy to use later. That’s why athletes “carbo-load”! Of course, the downside that has people viewing carbs negatively is what happens when the excess stored sugar is not used. Unused glucose will be converted into fat and is generally bad for the body. But that’s not the carbs’ fault – it’s your fault for eating too much of them! Basically, consuming carbs in moderation will only have positive effects on the body. It’s when you eat too much of them that problems start to arise. It’s commonly said that carbs cause weight gain. Numerous studies suggest otherwise. Admittedly, early misconceptions have led to this myth. Scientists once considered that carbs could become the main reason behind obesity more than protein or fat due to elevated insulin levels produced to process the components. But here’s the truth: eating too much of anything is the main cause of weight gain. Eating healthy amounts of carbs is never going to cause you to be obese. On top of that, plenty of research has revealed that there is no association at all between obesity and a high intake of carbohydrates – so put your positive thinking into practice! In addition, some researchers suggest that carbs themselves can help you maintain your current healthy weight because they make you feel fuller and more satisfied. Around 64% of your daily diet should consist of carbs – around 361 grams total – and this will keep you feeling full and snacking on bad foods less. This is the same reason that many low-carb dieters end up burning out. They don’t get enough energy, and they don’t feel full; eventually, their bodies complain enough that they cave in. So, what does matter when it comes to carbs and weight? Eat healthy carb options that are natural and whole, not processed or refined. Basically, steer clear of fries, sugar, and pizza; opt for whole wheat products, vegetables, and fruits instead. Carbs provide plenty of benefits to the brain. They sharpen focus and memory, allowing you to be more productive at work, keep more important things in mind, and enjoy less brain fog. But why does this happen? How can carbs be so positive for the brain? Carbs provide energy and fuel to the whole body, including the brain. When the brain receives enough fuel, it is able to stay sharp and function optimally. Of course, you need to opt for complex carbs, not processed ones, to get the best results. In fact, good carbohydrates can even make you happy and improve positive thinking! Carbs boost serotonin production, and serotonin is a great feel-good hormone that makes you feel lighter and happier. This is hypothesized to be because good carbs help produce amino acids that are used for serotonin creation. Those who eat very low-carb diets can actually wind up feeling more anxious and depressed, as they are depriving their bodies of a crucial nutrient. Your body functions best when you feel sated and all your nutritional needs are met; as they say, a healthy body equals a healthy mind. Fiber is a kind of carbohydrate made from glucose, molecular nutrition scientist Kevin Klatt says. It’s absolutely crucial to the body. Though it isn’t converted into energy, it provides plenty of other positive sides you won’t want to miss out on. This includes better gut health and better circulation. On top of that, a combination of fiber with other types of carbohydrates in one’s diet can lead to strong, regular energy levels as well as balanced blood glucose. Fibers actually cause your body to slow down the digestion process, keeping you feeling fuller for longer, and preventing consumed carbs from flooding the bloodstream all at once and too quickly. They spread carb distribution so you have a long-lasting energy supply. Fibers are also just great for gut health in general. They provide bulk to waste materials, allowing for softer stools that are easier to pass. Because fibers are not broken down by any enzymes, they keep the bowels healthy and lower the risk of constipation. On top of that, good gut bacteria relies on fiber to grow and develop. These bacteria feed on all sorts of soluble fibers. All of these digestive benefits combined may even lead to weight loss – just from eating fiber! These effects are so great that consumption of sufficient dietary fiber can reduce the risk of many diseases, including obesity, heart conditions, type 2 diabetes, and stroke. Plus, it can lower the levels of bad cholesterol in the body, keeping you heart healthy and energetic. Somewhere along the line, a myth emerged stating that athletes on low-carb diets perform better athletically than those who eat high-carb diets. Unfortunately, multiple studies completely turn this idea on its head. One study found that of a group of cyclists going through a 100-km trial performance with sprints interspersed between, those who at high-carb diets performed better during sprints, though both had comparable race times. This suggests high carb consumption has positive results for exercise and athletic performance. We’ve already talked about how carbs serve as energy and fuel the body. As such, it makes sense that if you’re going to be expending more energy, you need to consume more of it in turn. But how exactly do carbs power athletic performance? High-intensity workouts and endurance-based athletics often result in tired muscles that deal with reduced oxygen. Less oxygen makes your muscles feel strained and more tired, preventing them from working as hard as you’d like. The body can break down carbs without oxygen in a process called glycolysis, which provides the necessary energy to the muscles. Plenty of carbs are excellent sources of certain nutrients. Whole grains, for example, provide countless B-vitamins as well as minerals like iron and magnesium. Fruits and vegetables, which also often contain carbs, are packed with antioxidants. All these components make you stronger against illness, strengthening your immune system. According to the research of Joelle Klein, who works at the Cleveland Clinic of Wellness, nutritious, whole, positive carbohydrate sources help control blood glucose, lower cholesterol, and lower obesity rates. 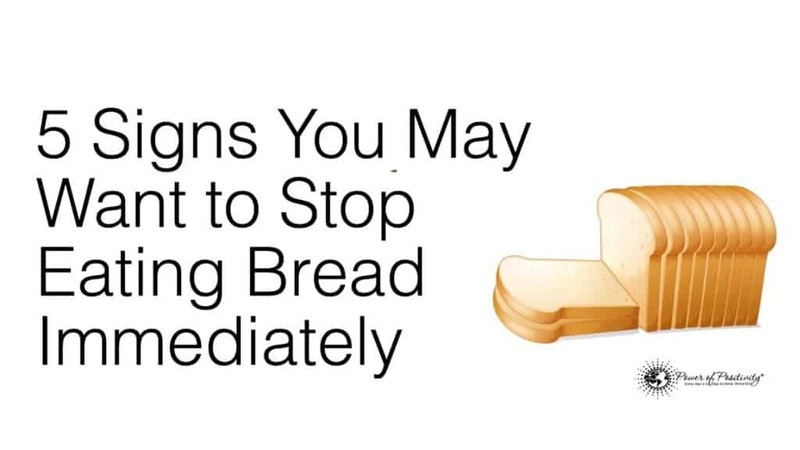 Meanwhile, bad, processed carbohydrates are known for doing the opposite. In general, if you eat good carbs, you have a very good chance of preventing diseases and decreasing your risk of dangerous diseases such as heart disease and type 2 diabetes. This is supported by a Clinical Diabetes review that found those who consume plant-based whole foods, including carbohydrates with lower processed food intake, experience a significantly lower risk of a variety of diseases. Some of the oldest living populations around the world eat plenty of carbs. These regions of longevity, known as Blue Zones, have significantly older life expectancies than most other countries. This is how researchers are able to figure out exactly what kinds of nutrients are most crucial to a long lifespan. One such region is Japan’s Okinawa. This country has the largest population of centenarians in the whole world – or, in other words, the most number of people who live to be more than 100 years old. What do these people eat? They eat a lot of carbs, especially in the form of sweet potatoes – so much so that before 1950, nearly 70% of an Okinawa resident’s diet consisted of this carb. That’s a surefire reason that proves why you shouldn’t be afraid of eating carbohydrates! They also eat lots of legumes and green veggies. Another exemplary Blue Zone is Ikaria, which is an island in Greece. Around a third of all its residents will live to pass the age of 90. Guess what they eat? Lots of bread and potatoes, plus a lot of legumes. Many Blue Zones around the world have carbs as a main dietary component. As such, it’s safe to say that eating a lot of carbs doesn’t detract from life expectancy or overall health, for the most part. According to the United States Department of Agriculture, people should consume a lot of carbs every day. Between 45% and 65% of calories consumed daily should be from carbohydrates. Basically, avoiding carbs altogether is bad for many people. Not everyone can survive on a low-carb diet – and if they survive, that’s all they’ll be doing – not thriving. The myth that all carbs are bad is a false one; again, it’s just about choosing the right ones. With that said, everyone is different. Some people live very healthily and happily with little to no carbs. Some people need to eat little to no carbs due to medical conditions or other issues. So who knows how carbs work for you? Before starting a new diet, whether you plan to go low-carb or want to end a low-carb diet and start eating carbs again, always speak to your doctor. Dietary changes must be made correctly in order to be effective!